Andrew, our son who was diagnosed as an infant with Hurler syndrome (MPS I), is now 15 years old and full of charisma. No matter the situation, Andrew doesn’t allow anything to prevent him from stepping up to the plate. 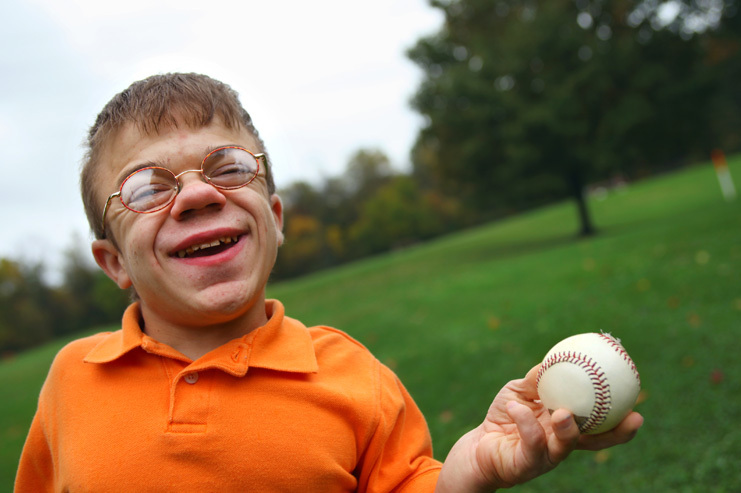 Having played Little League Challenger Division since he was ten, he rounds the bases with a glowing smile on his face and an external brace around his leg. 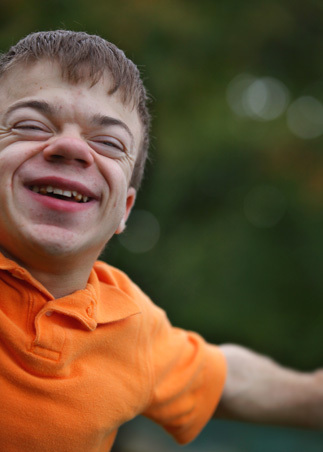 In addition to his drive to excel at sports, Andrew is uniquely dedicated to school and his friends. Unfortunately, due to so many appointments, he often misses all “the good stuff” in class. One day there was a party happening for one of his classmates at school, but Andrew had a surgery scheduled. In the morning he went to the hospital where he was administered anesthesia and received new ear tubes to assist his hearing. Afterwards he rested briefly and was sent home. On another occasion, Andrew was pulled from school for a carpal tunnel surgery. He banged his casts together in protest. As we were finally leaving, he wailed to his teacher, “I’m so sorry I have to miss math. I don’t want to go!” Even the teacher was crying, because she had never had a student become so upset because they had to leave school. As Andrew prepares for the transition into high school, he is simultaneously readying himself for his fifteenth surgery—a spinal fusion and compression operation to reduce kyphosis, or curving of the spine. Admittedly scared about the upcoming procedure, Andrew began having nightmares in which he was waking up during surgery in immense pain. To help manage his fears, a counselor at school helped him build a remote control with special buttons that enable him to stop a bad dream from occurring or “change the channel.” There is even a magic button he can push to think about his favorite school crush. Andrew is proud of his remote and boasts of its abilities. A woman came up to me at Wal-Mart. She was looking over and started crying. I knew what it was right away. I asked and she nodded with tears. She was so upset she had actually walked out at first. It’s one of those Hurler moments. They had just lost their child and she wanted to know if Andrew had Hurler syndrome. I asked if she would like to talk to him. She couldn’t do it, but I understood.